Silent. 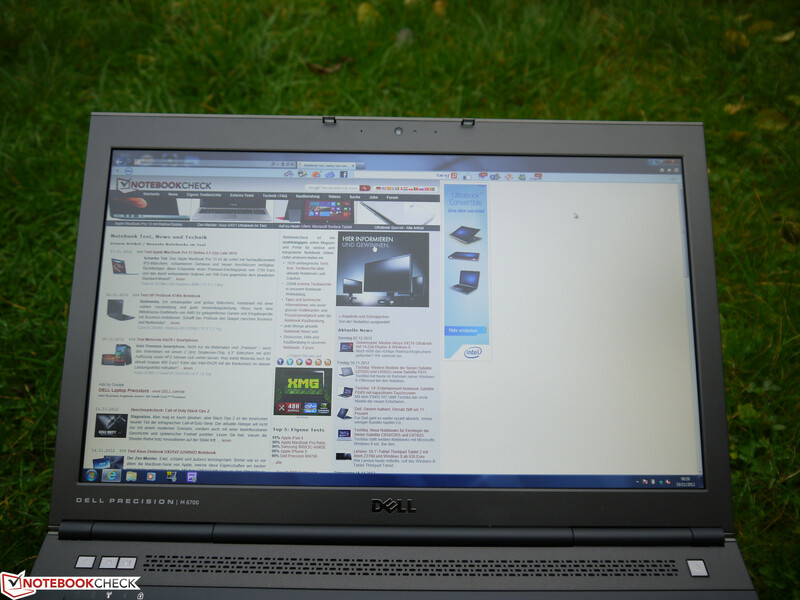 It is beyond question that a mobile workstation has to be powerful and Dell's Precision M6700 fulfills this very well. 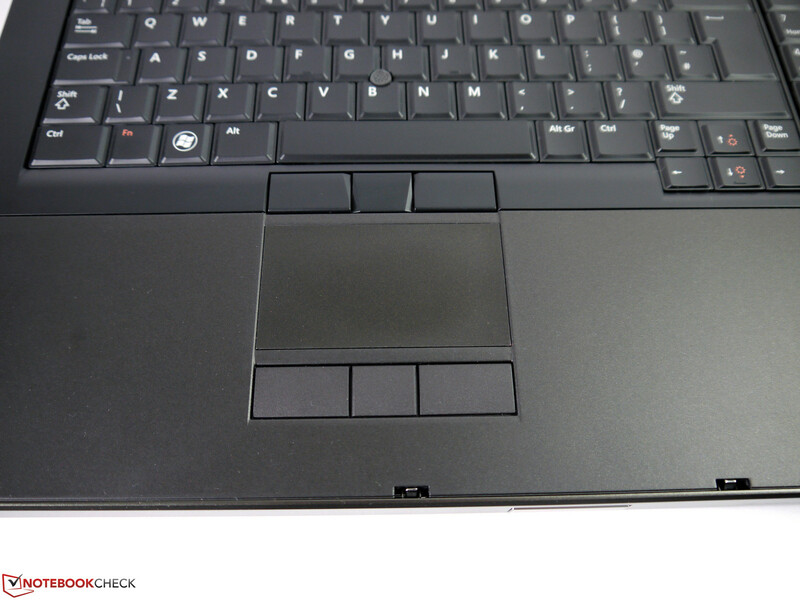 Another feature of our test laptop is that it enables a virtually silent operation in many work situations. We extensively tested when this is the case and what else you can expect. 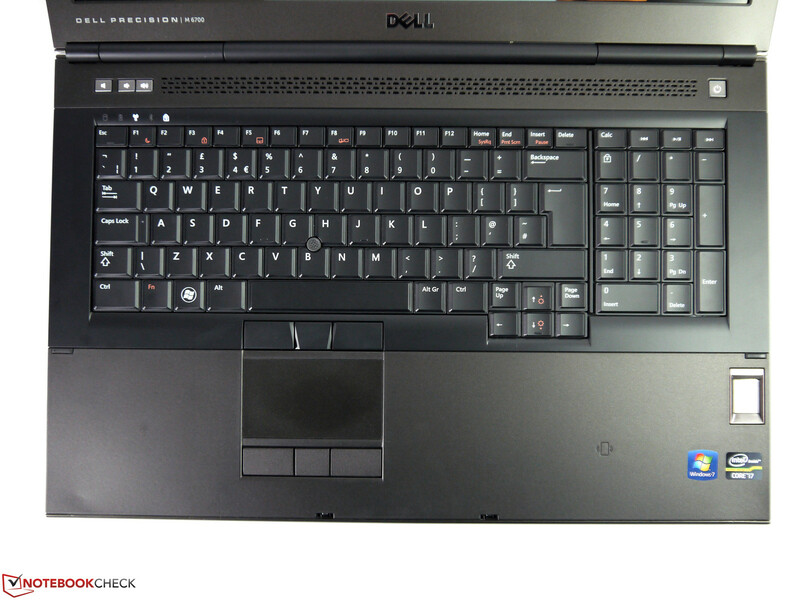 Dell's Precision M6700 belongs to the high-performance workstation category and is available with an above-average amount of many different components. 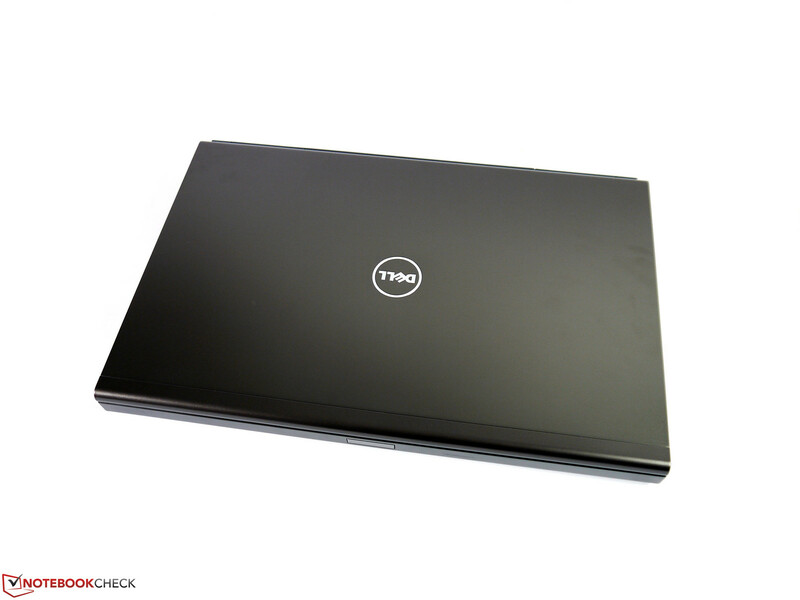 Beyond that, Dell also offers a very flexible laptop configuration in its online shop so that the laptop can be configured according to personal needs. Presently, nine different CPUs ranging up to Intel's Core i7-3940XM, four different professional graphics cards (FirePro or Quadro), four screen models and many storage device combinations are available. It is quite understandable that Dell charges a lot for this vast scope of product options, but it does not prevent the impression that Dell sometimes draws a long bow. The price for the Precision M6700 workstations currently starts at 1449 Euros (~$1874) net in the basic configuration (Core i5-3320M, AMD's FirePro M6000). 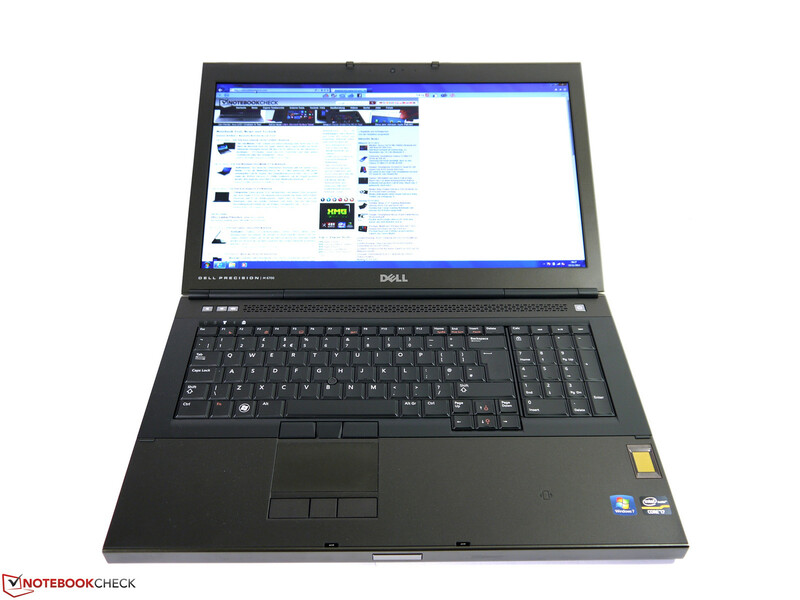 Allegedly, Dell even originally demanded an extraordinary amount of 2190 Euros (~$2832). In addition to the prices listed in the online shop, VAT is added in the shopping cart. 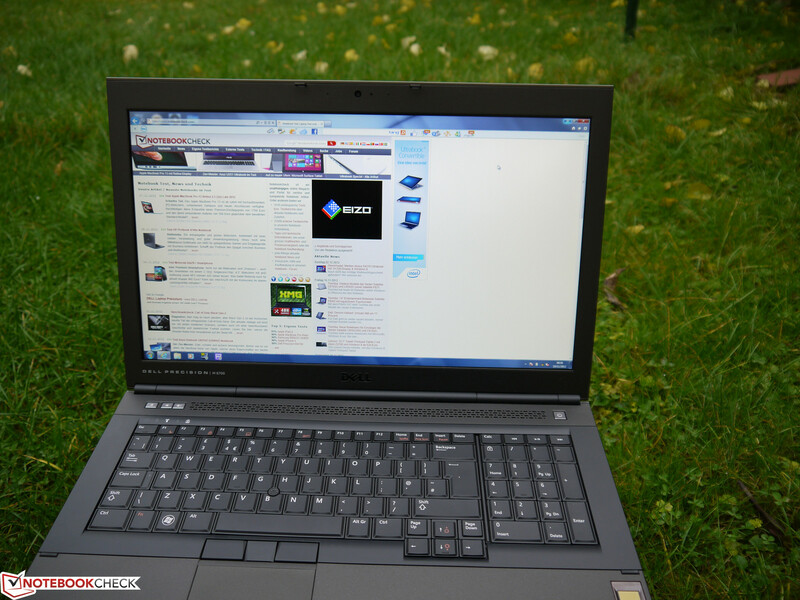 Our test laptop sports Intel's Core i7-3920XM CPU, AMD's FirePro M6000, 8 GB of RAM, a Full HD screen and a 512 GB solid state drive. We ascertained a gross price of at least 5200 Euros (~$6726) for our test model in the online shop. However, a Smart Card reader, fingerprint reader or webcam were not available in conjunction with AMD's graphics at the time of the review. 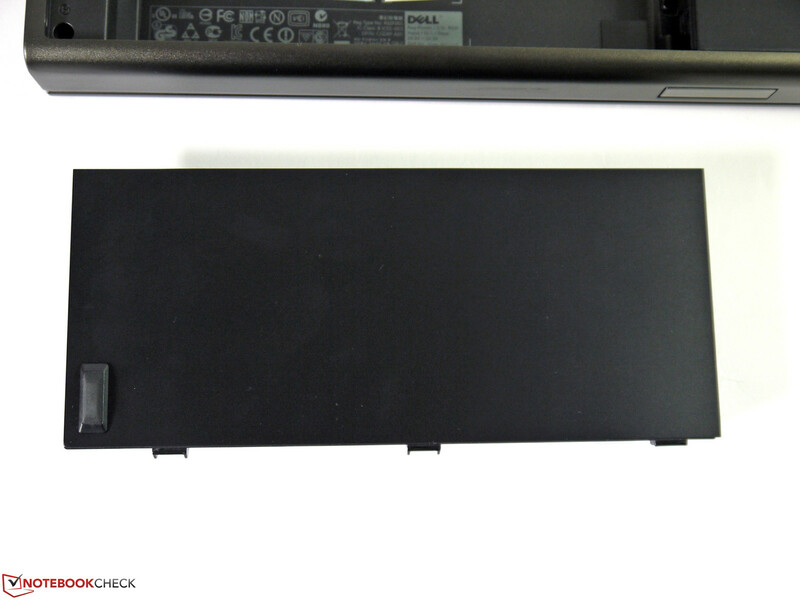 We already know the solid casing from Dell's Precision M6600 precursor. We did not discover any differences in quality or build. Even the minor fitting irregularities in the display lid's area were found again in the present test device. 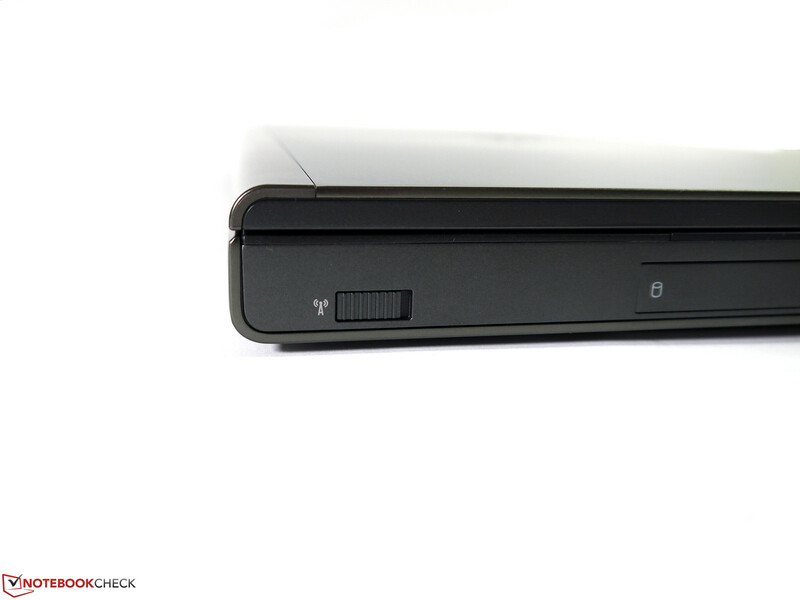 Otherwise, the casing is very solid and rigid; although the display lid can be warped marginally and the wrist rest can be dented slightly above the ExpressCard slot. 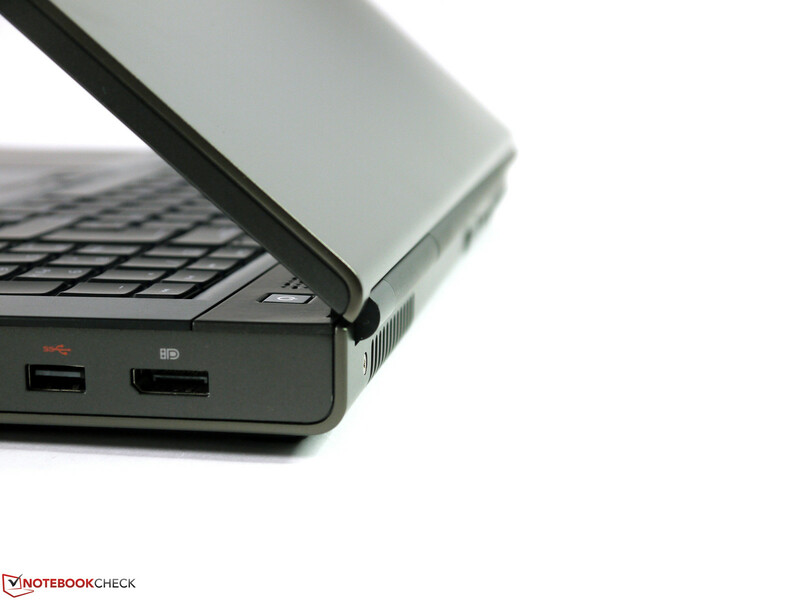 One of the feet is still adhered to the battery on the bottom, so the laptop does not have a secure stand without it. As usual, the bottom cover can be opened after removing two screws and enables access to the vital components. The test weight of just below 3.75 kg is on class average and indisputably qualifies the test device for desktop use. There is nothing new in this chapter, either. The wide scope of all available interfaces is extensively covered and does not leave anything to be desired. 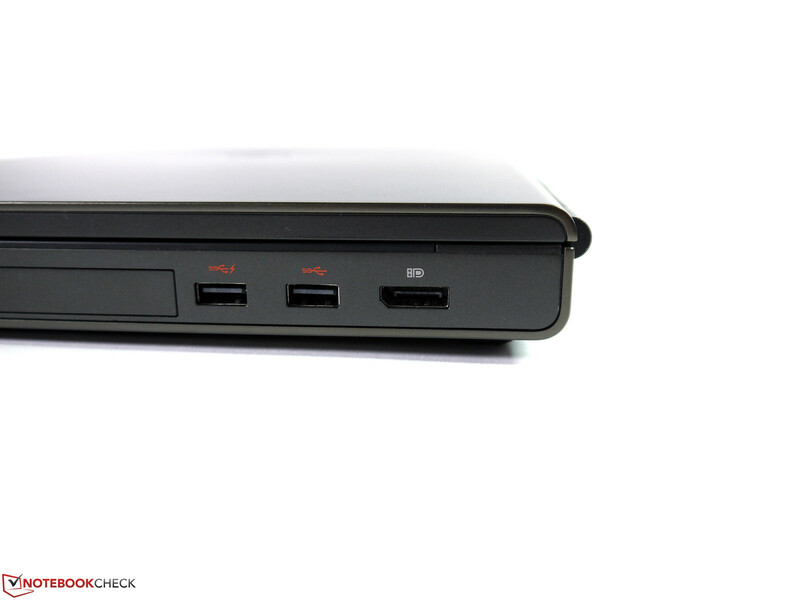 Even a 6-pin FireWire 400 port, including power, is found. 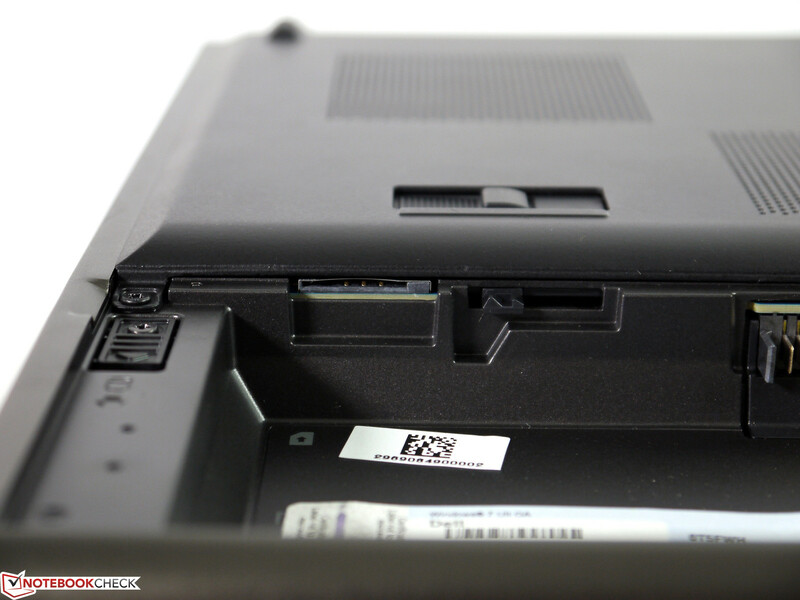 Additional ports can be retrofitted via the ExpressCard slot should these interfaces not suffice. 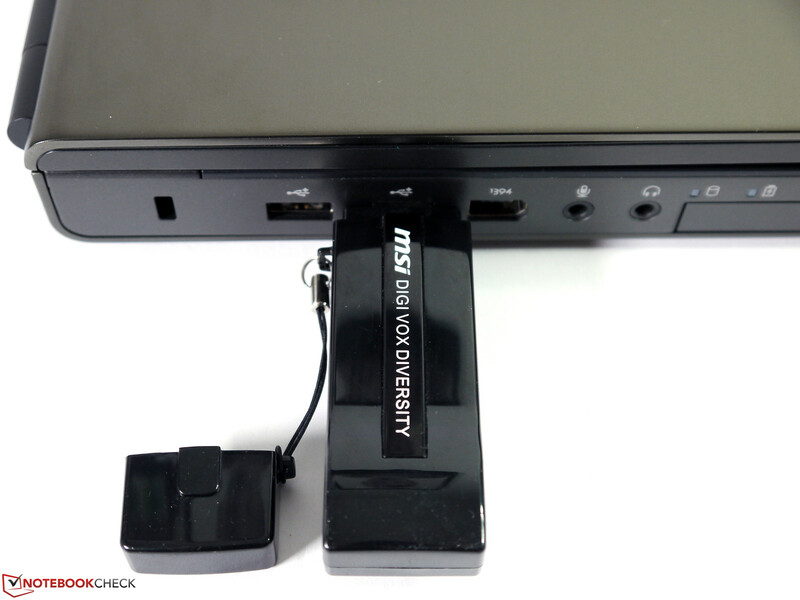 A DisplayPort, HDMI and analog VGA port are installed for connecting external monitors. In our opinion, the interface distribution has been solved perfectly and reduces space problems that cables create when peripherals are connected. Intel's Centrino Ultimate-N 6300 a/b/g/n is installed as the Wi-Fi module and transmits in both the 2.4 GHz and 5 GHz bands. Three built-in antennas ensure perfect reception and theoretically realizes transmission speeds of up to 450 Mbit/s. 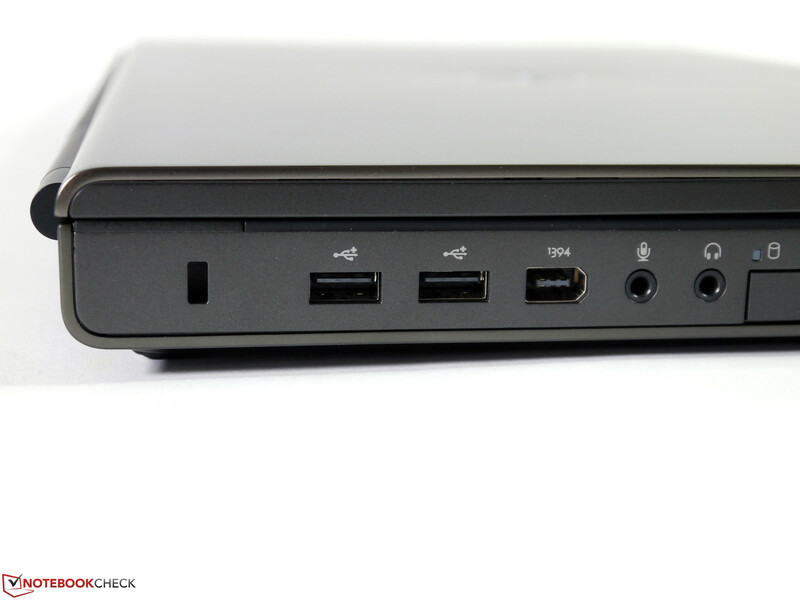 Although Bluetooth 4.0, a 720p webcam and Gigabit LAN cover the standard basic range in the test device, they are not all included in the basic configuration and cost extra. UMTS can easily be retrofitted since the necessary antennas are installed. 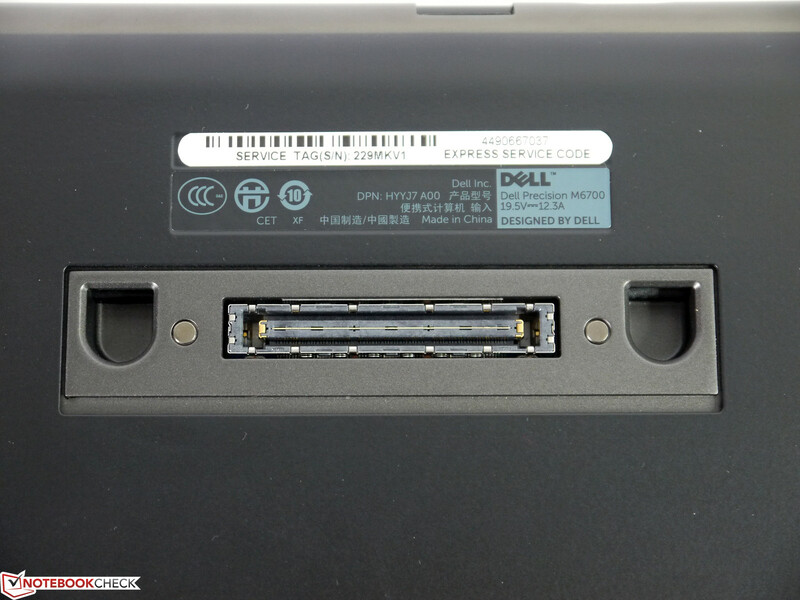 Dell's Wireless 5560 (HSPA+) MiniCard is available for a surcharge of just under 200 Euros (~$258, gross). A number of security options are already found in the BIOS, which provide far-reaching possibilities. 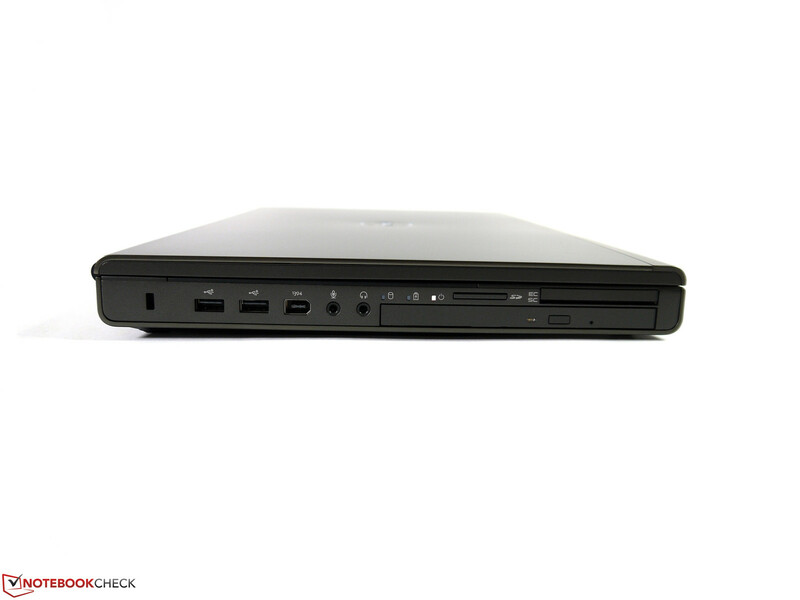 The system, various administration settings as well as the storage device can be password protected. There is also an option to only accept especially safe passwords. 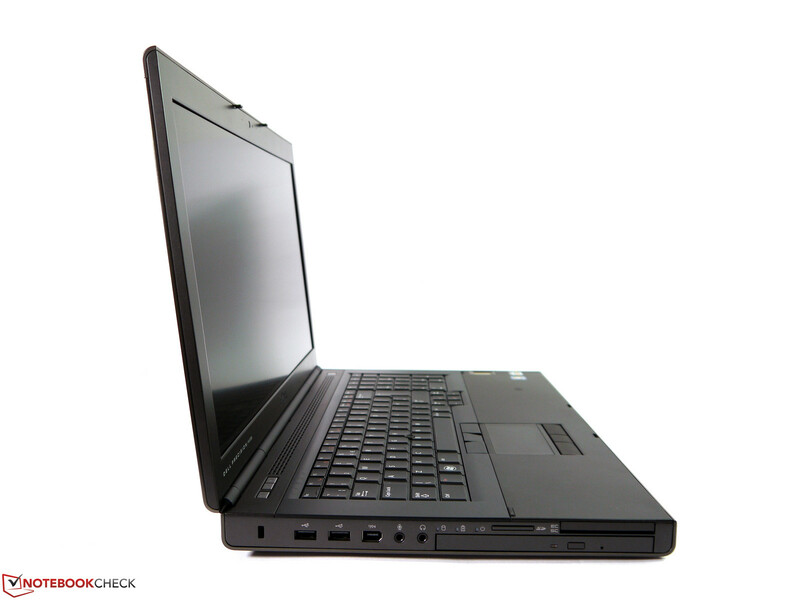 The Trusted Platform Module and Computrace service are inactive in our test laptop, but both can be enabled by simply "checking the box" when needed. Otherwise, a fingerprint reader, Smart Card reader and drive encryption are available to protect data against unauthorized access. 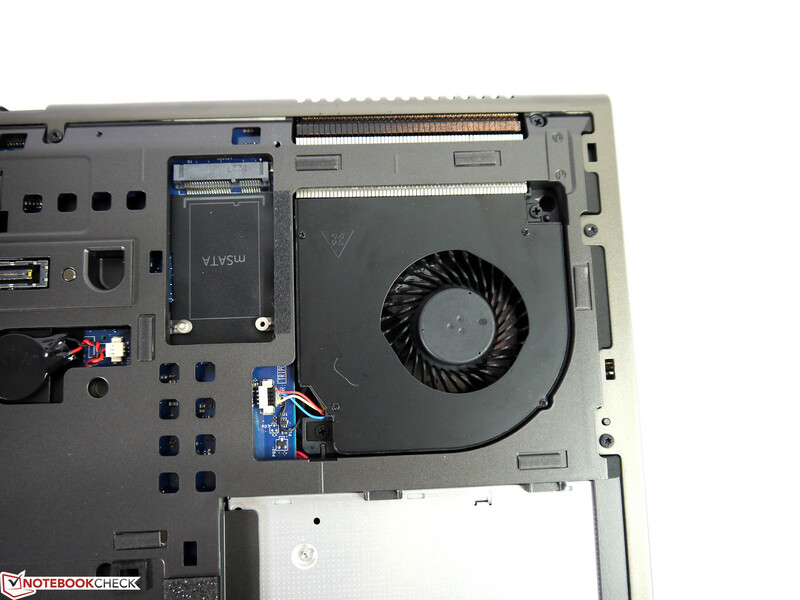 The fans and the vital components can be accessed easily via the base unit. 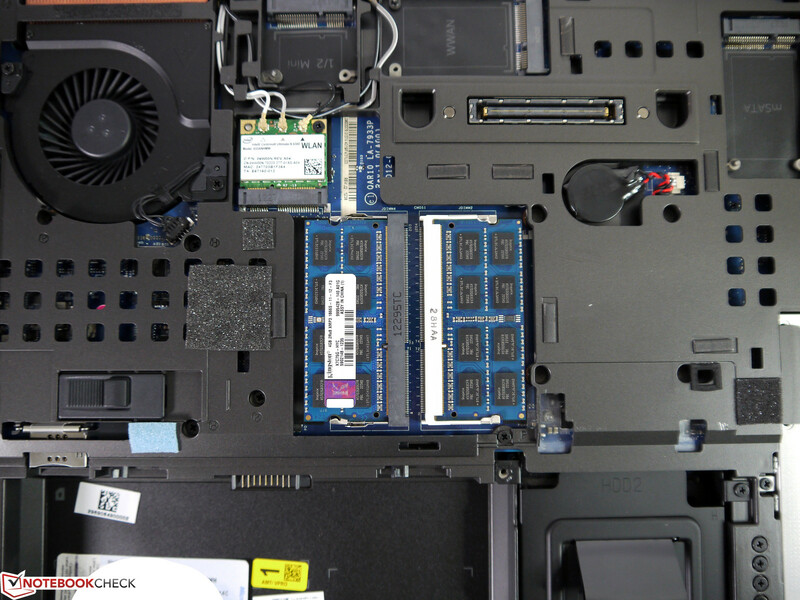 Both RAM slots on the bottom are filled and two more underneath the keyboard are free. The empty UMTS slot, empty mSATA slot and empty 2.5-inch hard drive bay offer room for expansion. 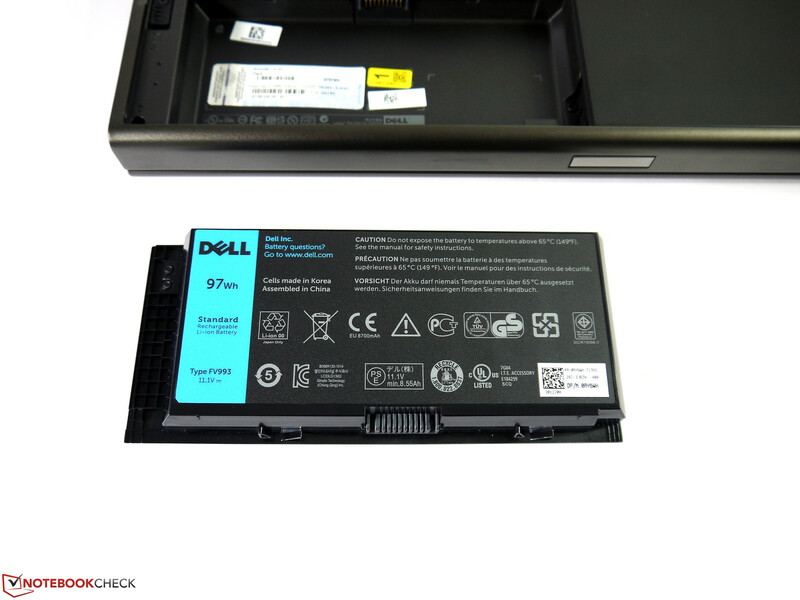 Dell includes a 36 month manufacturer's warranty with on-site service for the next business day (in addition to the 24 month statutory warranty). This extensive service can also be extended should it be needed. For example, a 5 year pro support is available for an additional 650 Euros (~$840, gross) when required. Like in the Precision M6600, the keyboard pleases with a medium key drop, quiet typing noise and high-contrast lettering. 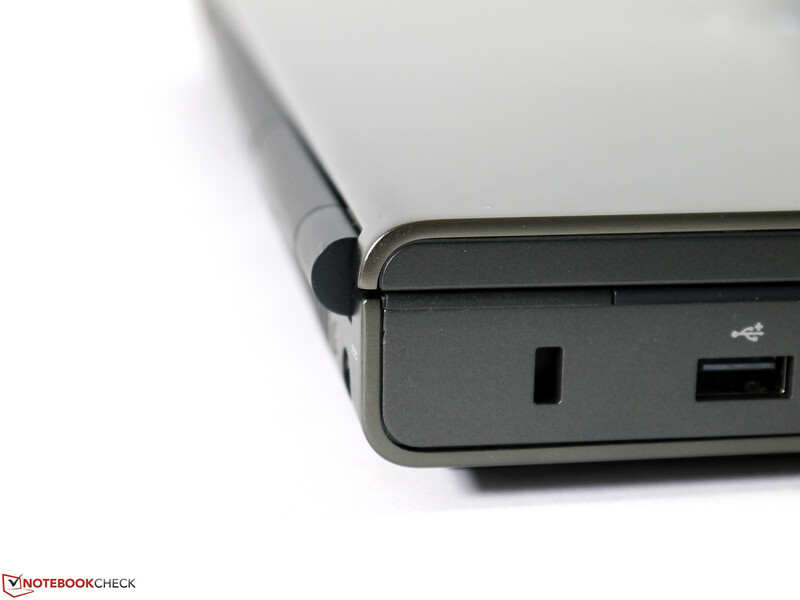 The surface's stability has improved noticeably. 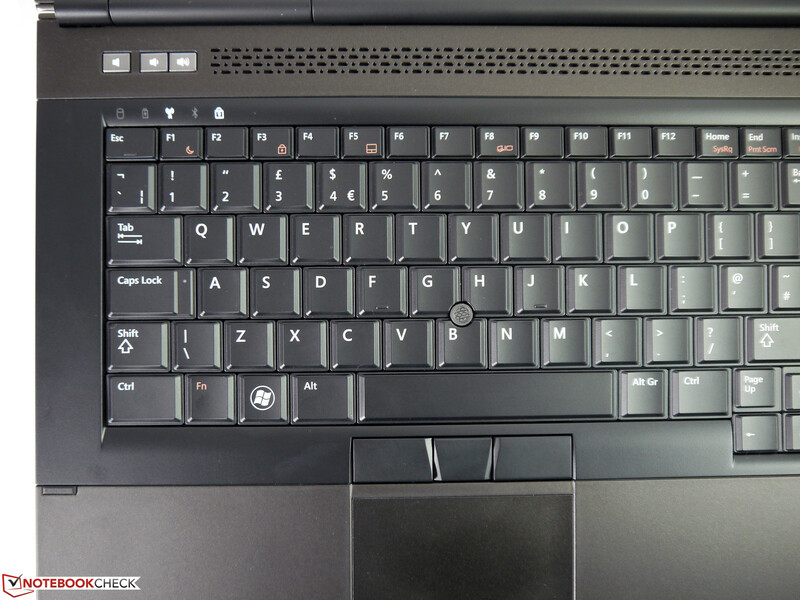 The keyboard only yields marginally while typing on the present test model and only dents in the right key area under moderate pressure. We only still really miss a backlit keyboard that our test device does not feature, but which can be ordered optionally. The necessary FN combinations, a few hot keys and the dedicated number pad round off the overall picture and make a very positive impression. The touchpad is just big enough for today's standards and a bit more room, particularly for multi-finger gestures, might be desired. Otherwise, the gliding traits, response and the rubber-coated touchpad buttons are very good, which makes it an overall decent mouse replacement. 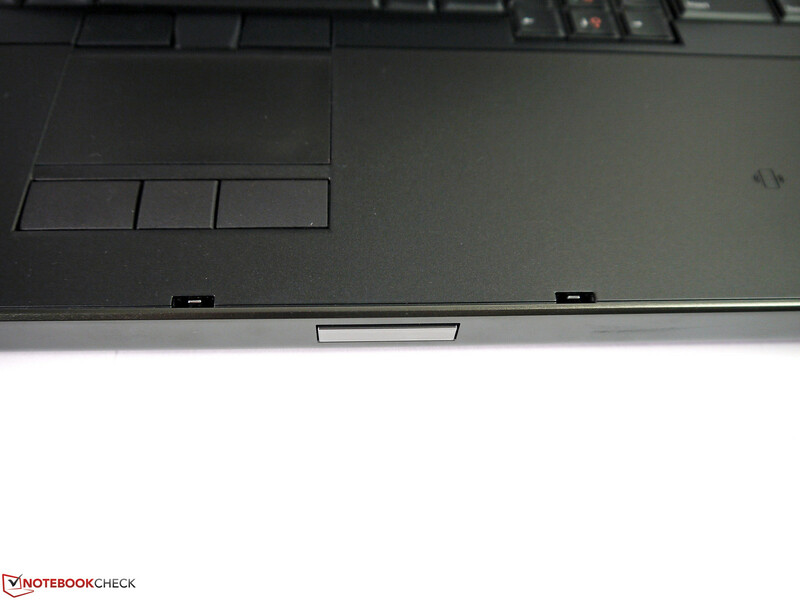 The additional Pointstick including dedicated keys is on the level of HP's EliteBook and ThinkPad W series in usability. Being accurate and easy to use, it provides a good pretense to leave the mouse at home. Dell offers four different screen options for its 17-inch Precisions. 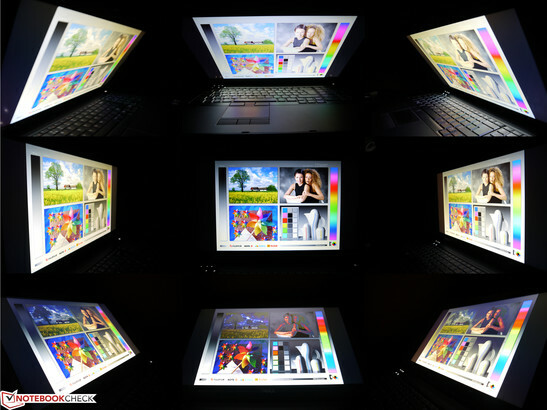 The HD+ screen can be seen as the entry-level model, which is standardly installed in the low-end basic configurations, and features a resolution of 1600x900 pixels. Beyond that, a Full HD screen with wide viewing angles, a Full HD RGB-IPS screen and a Full HD 3D Vision Pro screen are available. The standard Full HD screen is installed in our test device and is very balanced in terms of value for money. We ascertained brightness rates from 251 cd/m² up to 330 cd/m² at nine different measuring points, which is a very good prerequisite for many application fields. The average brightness of 284 cd/m² is not only sufficient for bright rooms, but also for outdoors when direct sunlight is avoided. The brightness is maintained on battery power. Despite the rather varying brightness rates, clouding or bright spots are not seen on monochrome backgrounds. The brightness decrease toward the lower edge is also barely visible for the naked eye. 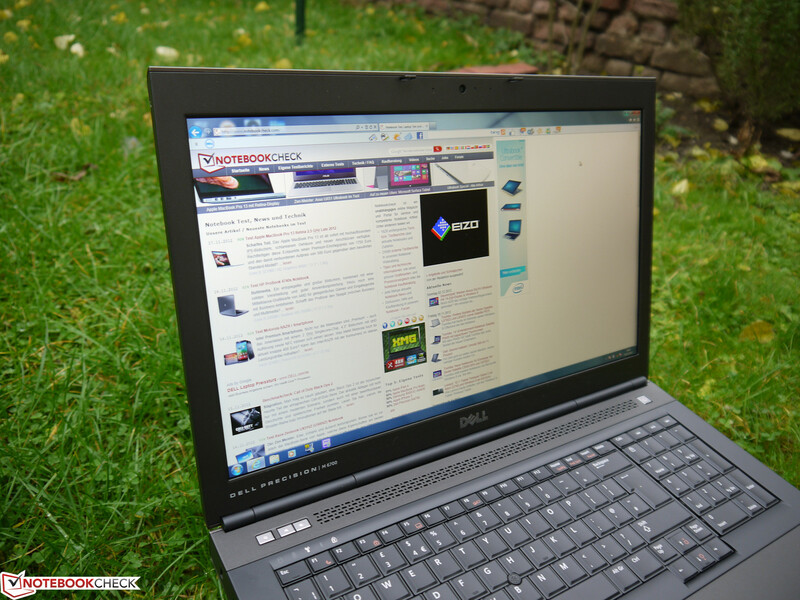 The assessed contrast of 507:1 clearly excels the usual laptop standard of below 200:1 and is also noticed in more saturated colors. This is extremely positive particularly in pictures, movies and games and ultimately leads to a more natural and vivid representation. 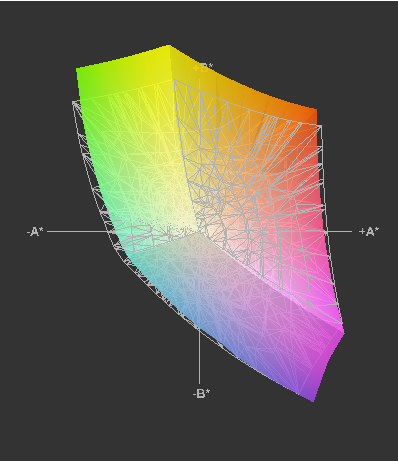 The color spectrum nearly covers the entire sRGB color space. Just a few cyan and magenta hues are not quite covered. Users who require larger color space coverage can take the aforementioned optional IPS-RGB screen that should also feature more stable viewing angles and higher contrast (not tested). The viewing angles do not quite achieve the level of previously tested IPS screens, but still stands out positively from the usual TN standards. The content virtually remained unchanged horizontally and was only affected by a minor discoloration with an increasing red part and slight brightness reductions. In return, color shifts are no longer noticed horizontally, but the image fades visibly when looking from above. The content inverts in the other direction, so when tilting the screen extremely towards the back, but it always remains sufficiently readable. 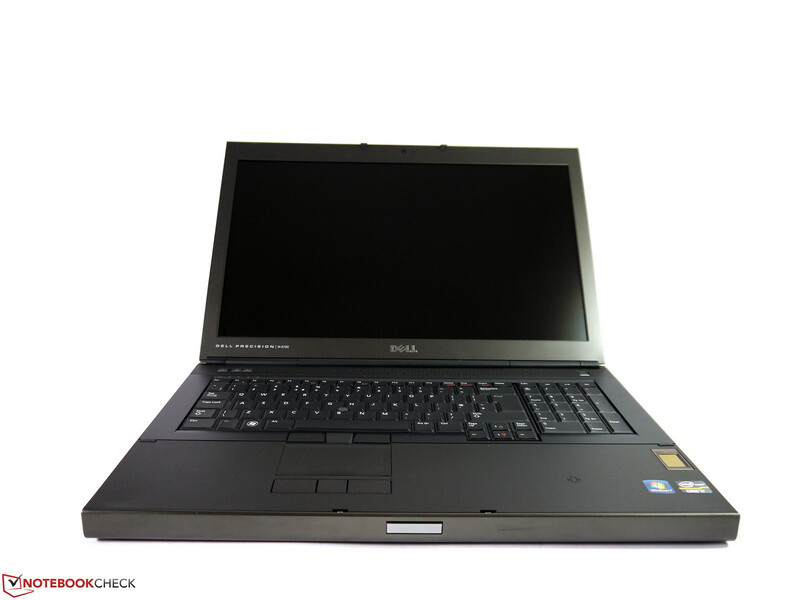 As mentioned in the intro, one of the biggest strengths of Dell's Precision M6700 is the extensive configuration options regarding the available components. 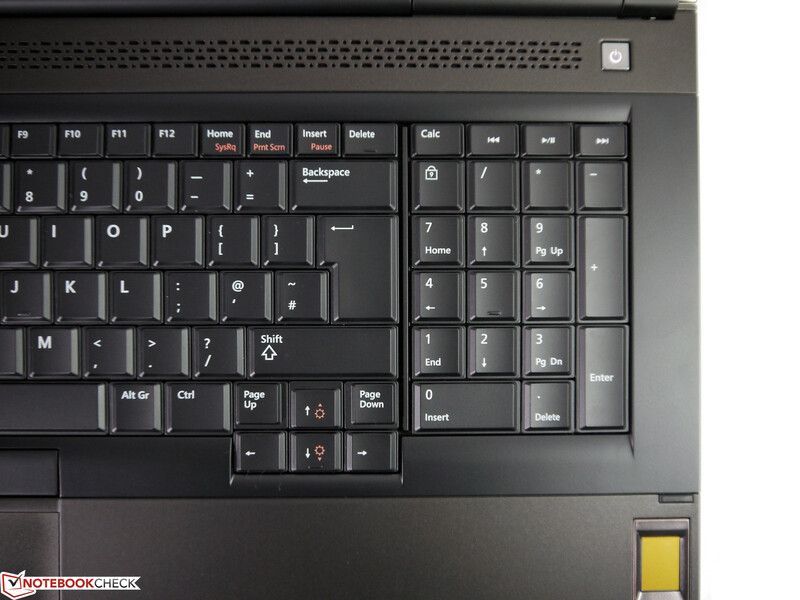 It is possible to select the elements according to the modular principle and customize the laptop to match your needs. 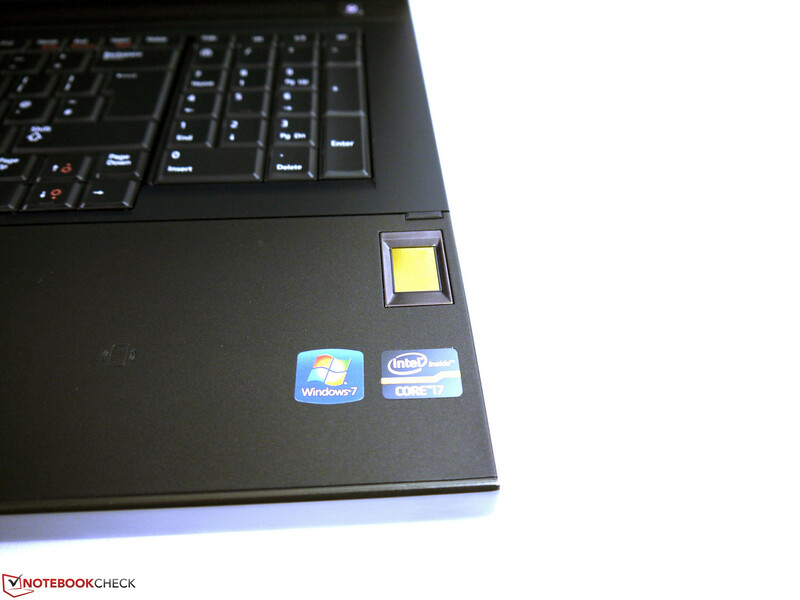 Two sections of our test device are almost perfectly equipped with Intel's Core i7-3920XM CPU and a 512 GB SSD. Although AMD's FirePro graphics card is positioned as the low-end entry-level model of this series, we found very competitive performance features. It is possible to configure up to 32 GB of working memory and additional storage devices can be installed into an empty mSATA slot and in an empty 2.5-inch hard drive bay. Intel's Core i7-3920XM is currently the second fastest available mobile CPU. With a maximum clock of 3900 MHz or processing 8 threads at the same time, no application field will be a problem for this processor. The test results are accordingly good, or to be more precise, very good. Converting via iTunes was performed with record breaking x55.9. Video converting via MediaEspresso 6.5 was also quick using the CPU and our two test movies were converted into our iPhone test format in 130s and 146s. The wPrime 1024m calculation was performed in 220s and the superPi 32m calculation took 531s. A score of 6495 points (single-core) and 24603 points (multi-core) was achieved in Cinebench R10 64bit (Cinema 4D benchmark). 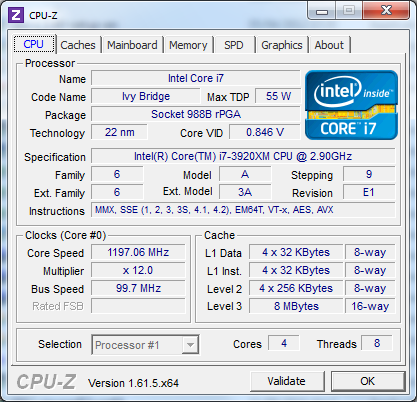 Those are all top rates that can only be excelled by Intel's somewhat faster Core i7-3940XM or desktop CPUs. We did not ascertain CPU throttling even while both the graphics card and processor were loaded. 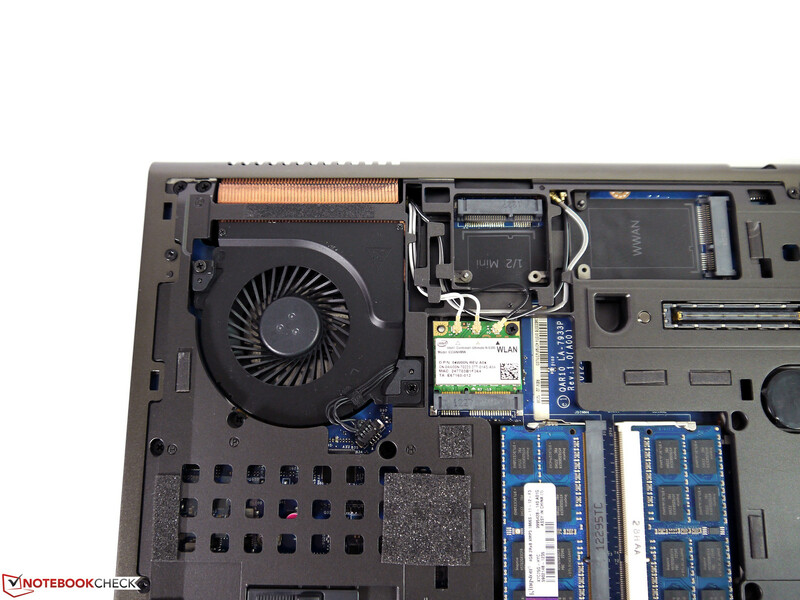 Dell's concept of equipping the graphics card and processor with a dedicated fan has an extremely positive effect here. 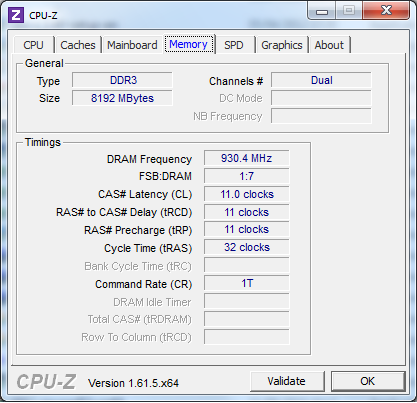 HWinfo64 recorded a consistent clock rate of 3600 MHz and a maximum core temperature of 95 °C in Furmark and Prime95. Of course, the fans run at maximum speed during this load. The performance on battery power achieves nearly the same results as in AC mode. A drastic CPU throttling to a specific clock speed is not the case here; just Turbo Boost is either disabled or reduced. The single components work together perfectly and do not exhibit any serious system bottlenecks. The RAM configuration of 8 GB could get a bit tight in the long run depending on the application field, but it did not prove to be a problem in our tests. Video editors will likely upgrade the storage device soon so that they do not have to fall back on an external hard drive while editing. The graphics and processor power are in line and provide enough performance reserves for managing most tasks for a long time. 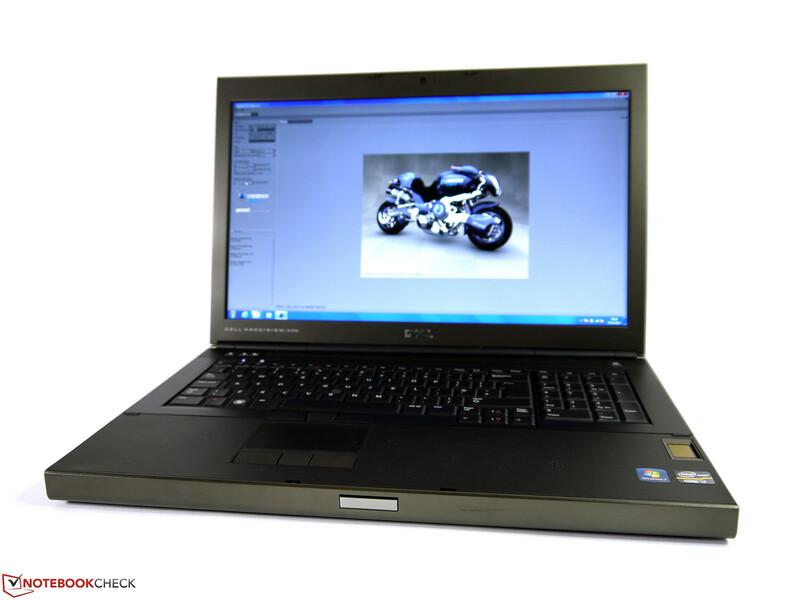 Image processing, converting, video editing and extensive 3D projects are no problem for the workstation. As described in Graphics Performance below, the performance limits are found in the CAD field where AMD's FirePro exhibits a very different performance depending on the software. Extensive configuration options are possible regarding the storage devices owing to two hard drive bays and an additional mSATA slot, and there is a lot of freedom for upgrading the storage. Various RAID arrays are just as possible as SSD-hard drive combinations or an SSD-only configuration. 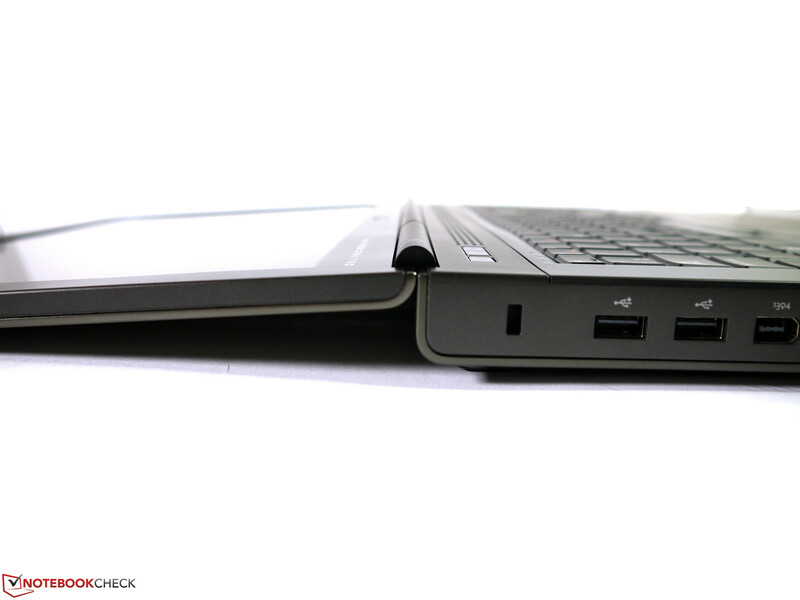 Our test model sports Samsung's P830 solid state drive which has a very large memory capacity of 512 GB (gross). The surcharge for a 512 GB SSD is currently 943 Euros (~$1219, gross) in the basic configuration in the online shop. 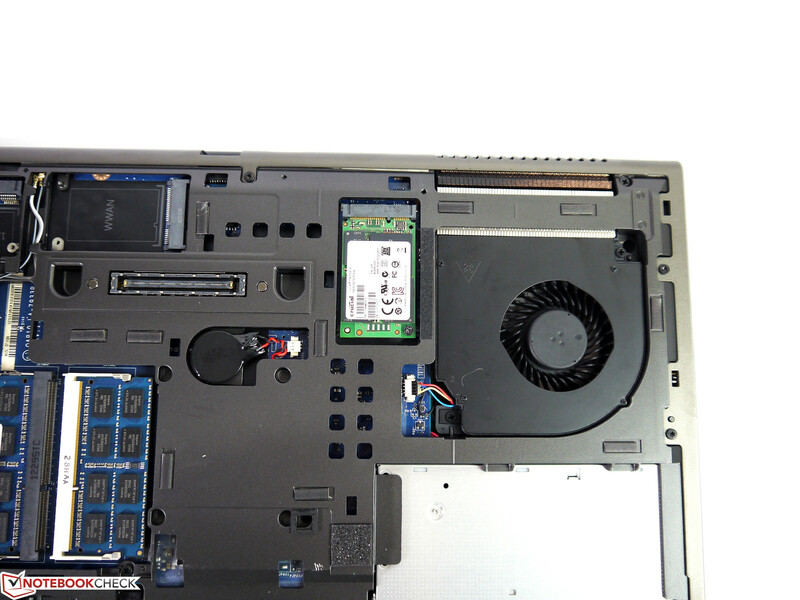 The mSATA slot is specified with SATA II speed in the manual and also only reached this in our practical test with a Crucial M4 mSATA SSD, which is limited to 270 MB/s (read, nearly 500 MB/s is possible on the SATA III port). 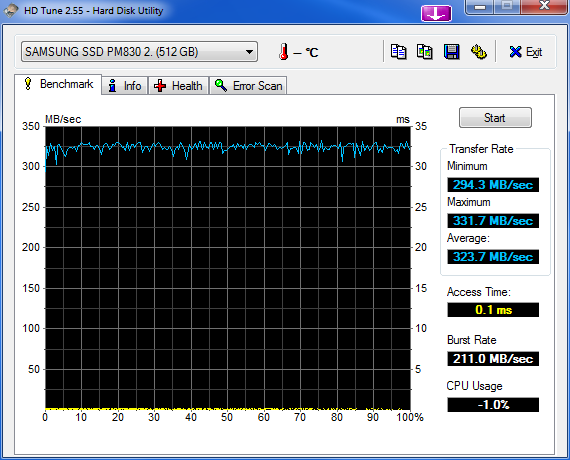 In terms of pure performance, there is no reason for reproaching Samsung's installed hard drive. Only the current price might cause an irregular heartbeat in a negative sense. AMD's FirePro M6000 is a member of AMD's professional midrange and features a 2 GB GDDR5 graphics memory with a 128 bit-wide memory bus. The graphics core clocks with up to 800 MHz and can dynamically adapt the speed according to requirements. 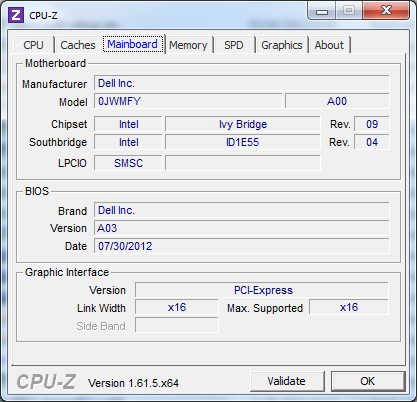 The processor-integrated Intel HD Graphics 4000 is not enabled. The rather wide dispersion of the ascertained scores in a few benchmarks proved to be unusual. While other devices show differences within the low, single-digit percent range after several runs, we partly established score differences of up to nearly 100%, for example in Cinebench OpenGL Shading. This may be due to not yet optimized drivers. In any case, we could neither provoke the downclocking feature in the benchmarks via Furmark nor overclocking in games using Crysis, which is possible via AMD's PowerTune function. We ultimately only recorded each ascertained high score. The FirePro M6000 achieved 10283 points in Cinebench R10 32 bit (several measurements) and surprisingly only 7835 points in the 64 bit version (normally virtually identical scores are recorded here). The first score is enough for the top rank in our extensive comparison chart and the lower score is also still among the top 10. The score of 67.5 points achieved by Nvidia's Quadro K5010M is even slightly surpassed in Cinebench R11.5 with 68.27 points, which certifies the FirePro an overall very good OpenGL capability. In particular, professional drivers recurrently exhibited considerable performance improvements with every version update in prior tests, which indicates that the performance potential is first exhausted with a corresponding optimization. Since the performance differences using the preinstalled FirePro driver turned out to be very high in Catia, ProEngineer and Tcvis compared with Nvidia's Quadros, we also hoped for the aforementioned performance effect. However, the exact opposite occurred with the latest version. Except for Siemens NX, all results worsened noticeably; Lightwave, Maya, Solidworks and Tcvis categorically caved in. 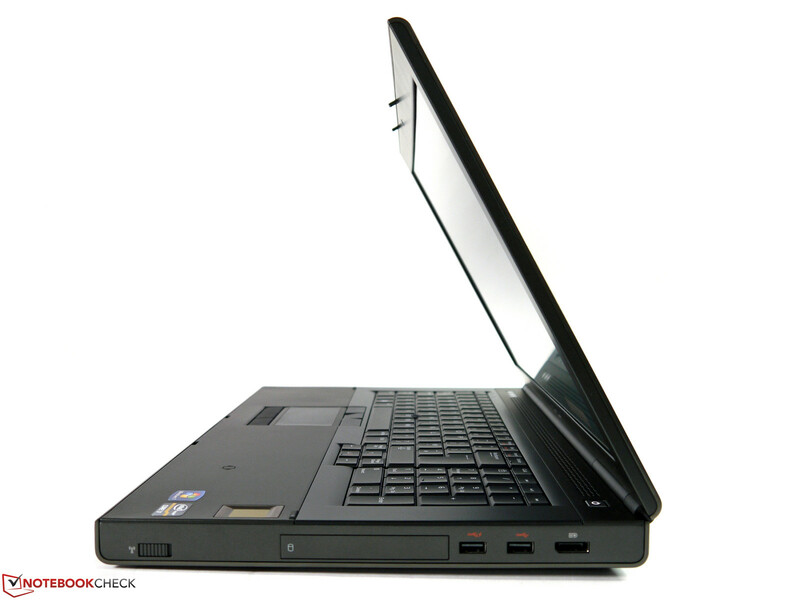 Even the FirePro M2000 in the 14-inch EliteBook 8470w is faster with exception of Ensight. In any event, we would definitely advise against updating the driver version to 9.002 for CAD applications for the time being in view of performance. However, we could first run Cyberlinks Media Espresso 6.5 using the new driver version. Before that, the converter froze reproducibly when starting the program and could not be used. The eventually ascertained results cannot compete with the performance of Nvidia's CUDA or Intel's Quick Sync technology. 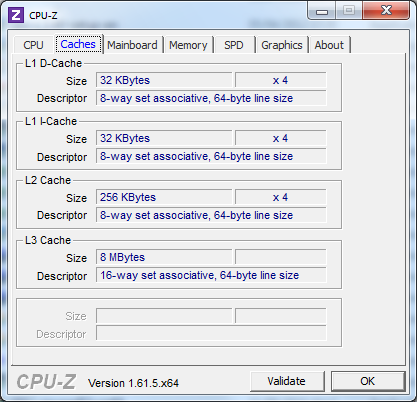 Nevertheless, the system load is reduced noticeably (5 - 45% CPU capacity) and thus enables processing other tasks alongside converting. The graphics performance is only reduced marginally, if at all, on battery power. 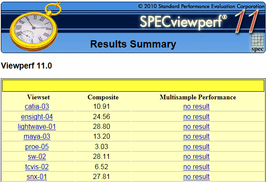 The somewhat lower test results (3 - 5%) are due to the slightly throttled CPU performance. 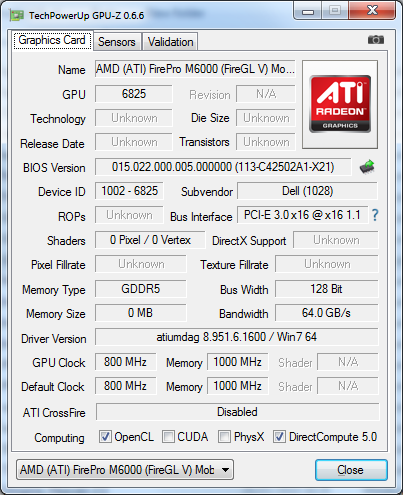 AMD's System Monitor displayed a GPU clock of 800 MHz as was the case before. The up-to-date games that we tested usually ran smoothly in medium and high settings. Limits were found when using maximum resolution and high quality settings in demanding games like Metro 2033, Total War: Shogun 2, Anno 2070 and World of Tanks. 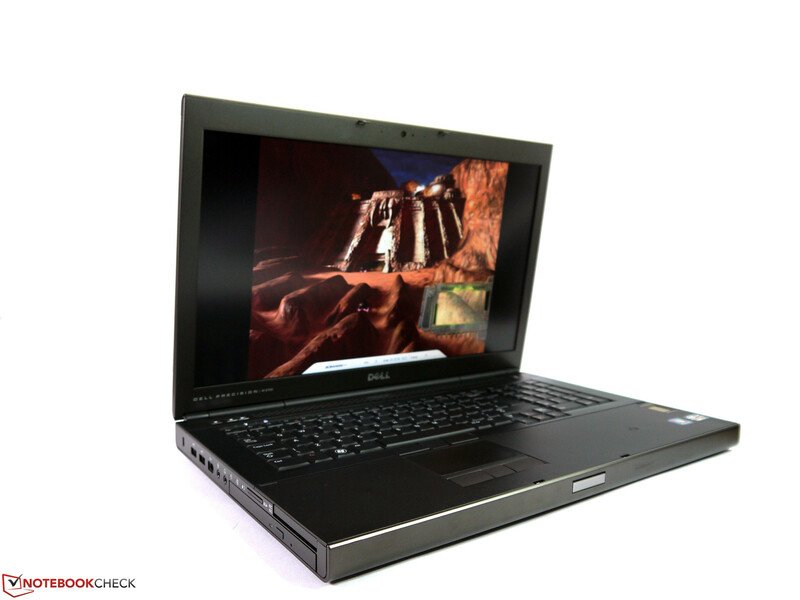 We did not ascertain any restrictions caused by the special graphics drivers of AMD's FirePro M6000. 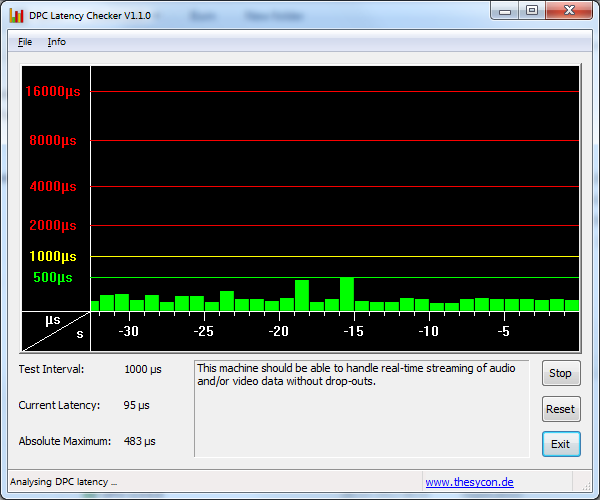 The test laptop's noise development could hardly be better. 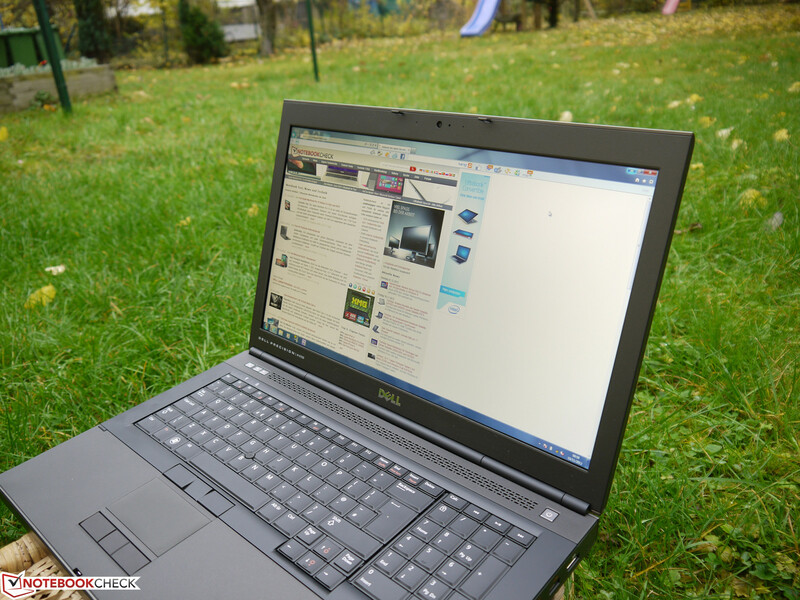 Dell has done a great job here and created a silent laptop in many fields. 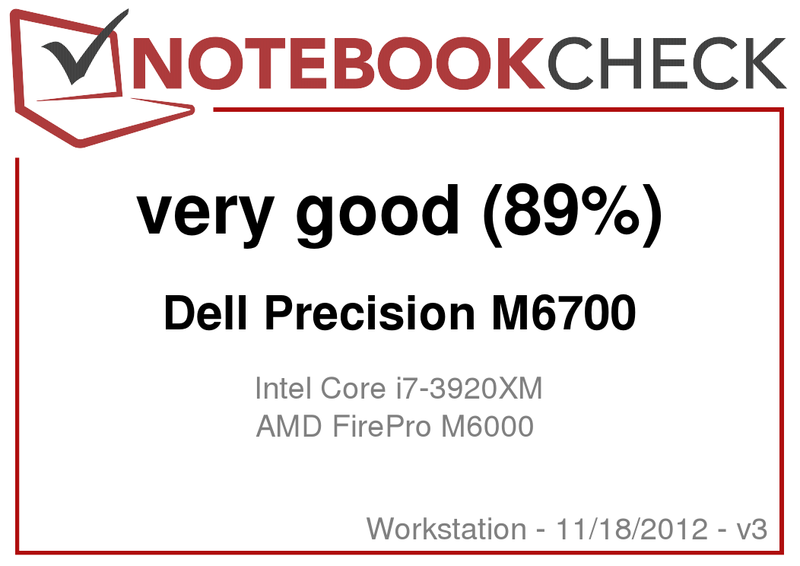 Again: Dell's Precision M6700 is a very powerful workstation. 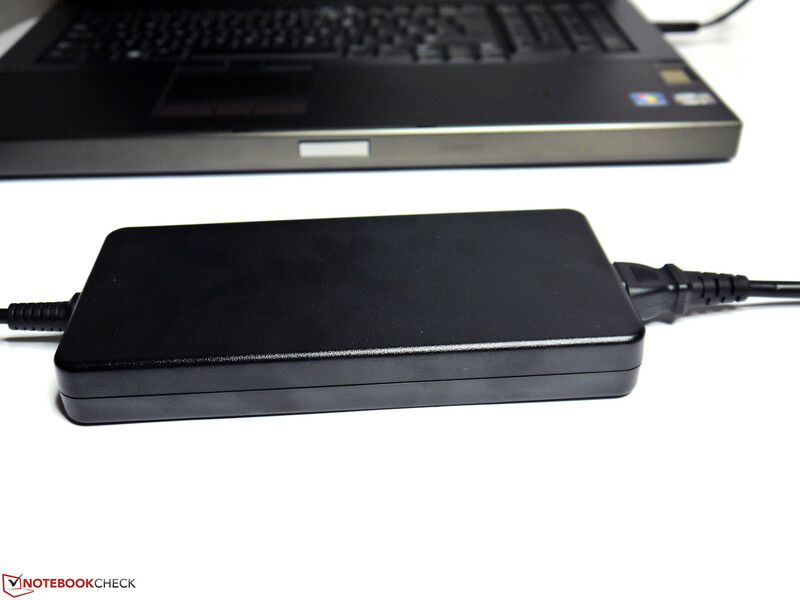 The test device remained mostly silent during Office use, image editing (without computing-heavy filters) and while watching movies from the SSD. The fan only occasionally increased its speed for a moment and then shut off completely again. The test device even remained inaudible during a few benchmarks. Very low 34.6 dB(A) was reached in medium load, which roughly corresponds to converting or gaming load. The fans first increased to maximum speed as the processor and graphics card were fully loaded and the noise level reached an unpleasant 47.9 dB(A). The optical drive spun quite noiselessly with 34.6 dB(A) during DVD playback and should not be annoying in most situations. 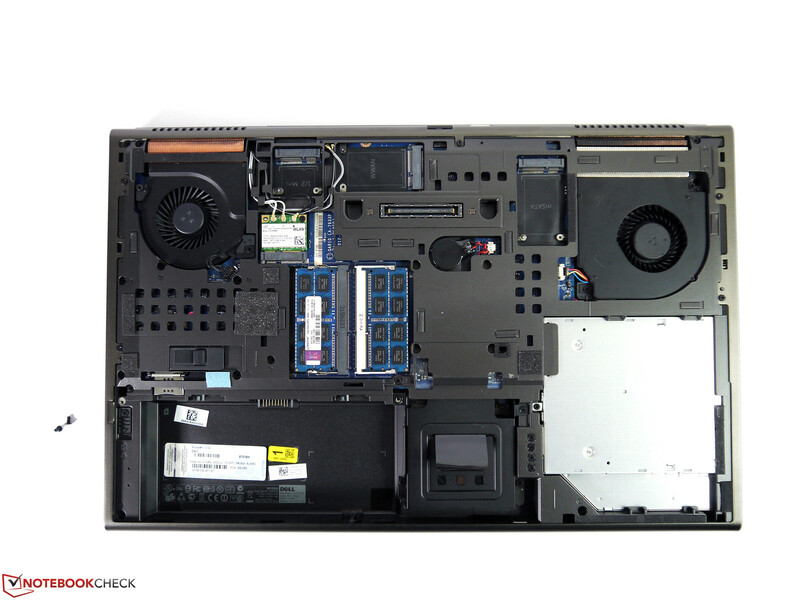 Although the fans are used very moderately and often remain idle, excessively hot casing temperatures are not an issue. Quite the contrary is the case. With a maximum of 42.1 °C during continuous full load and a maximum of 36.2 °C during permanent Office use; you will always experience an exceptionally cool casing that does not cause any restrictions. (±) The average temperature for the upper side under maximal load is 32.5 °C / 91 F, compared to the average of 31.1 °C / 88 F for the devices in the class Workstation. (±) The maximum temperature on the upper side is 41.6 °C / 107 F, compared to the average of 37.1 °C / 99 F, ranging from 23 to 69.8 °C for the class Workstation. (+) In idle usage, the average temperature for the upper side is 30 °C / 86 F, compared to the device average of 31.1 °C / 88 F.
(±) The average temperature of the palmrest area of similar devices was 27.8 °C / 82 F (-1.5 °C / -2.7 F). The built-in speakers surpass the usual standard equipment found in business laptops owing to a quite balanced sound quality. They provide bass and midranges alongside the somewhat dominant trebles. Presentations in a small group are quite possible since the undistorted maximum volume is high enough to reach all participants. The good volume control and the dedicated audio port, which also allow using standard headsets via two jacks, are pleasing. 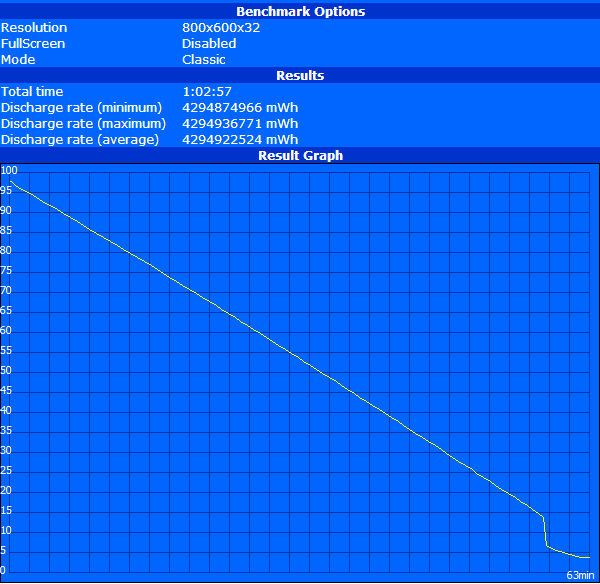 The power consumption of Dell's Precision ranged from 18.6 watts up to 134.9 watts in full load at the mains. The strong hardware with the disabled Intel HD Graphics 4000 was particularly the reason for only average results in low load and will also have a negative impact on the battery runtime. The consumption using a screen brightness of approx. 150 cd/m² and enabled Wi-Fi increased moderately by roughly 2.5 watts to 21.5 watts in real-life use, which is feasible for many Office and internet tasks. The maximum power consumption of nearly 135 watts is not practice-related since a simultaneous maximum processor and graphics card load can actually only be induced via benchmarks. The PSU's specified nominal power of up to 240 watts is more than sufficient and Dell has even managed to give it a relatively slim design. For example, the PSU of Fujitsu's Celsius H920 is almost exactly twice as large. 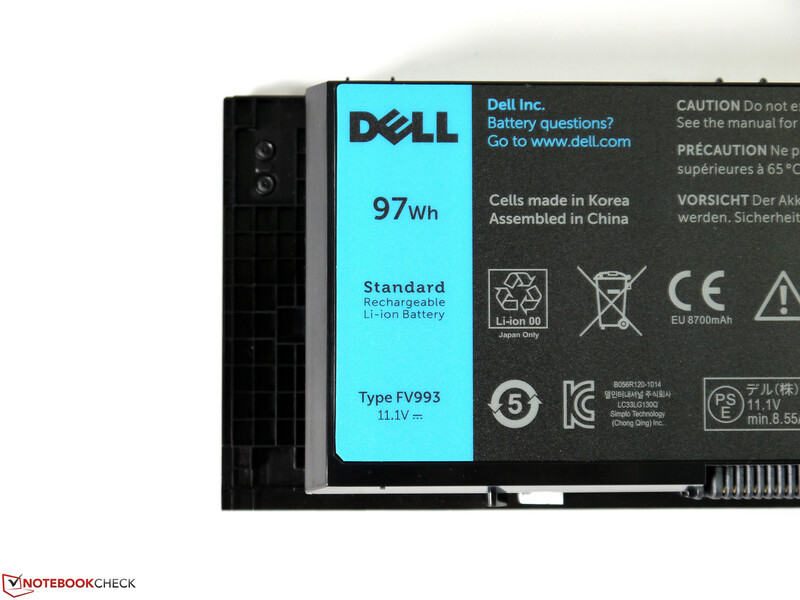 In Dell's online shop, you can select a 97 Wh battery like in the test device or an 87 Wh battery with a service life of 3 years (44 Euros, ~$56 net extra). A slim secondary battery with 97 Wh is listed among the configuration options but does not turn up in the online shop. It might be possible to order it via telephone. We did not discover any other battery options at the time of this review. 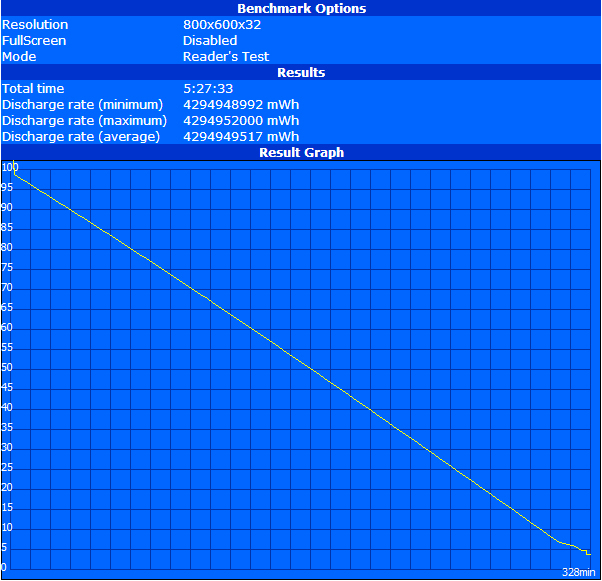 The test model reached a surprisingly good 5.5 hours in BatteryEater's Reader's test (maximum runtime, minimum brightness, wireless off, energy-saving mode). 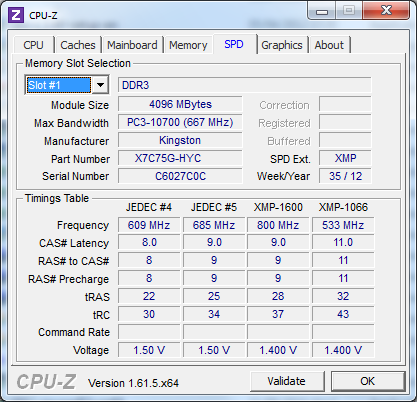 That is a very good runtime for such a high-performance machine and confirms the installed hardware's good energy-saving mechanisms. We could still work for a good 4 hours on battery power in the practical Wi-Fi test (approx. 150 cd/m², energy-savings mode, wireless on). Playing movies using maximum brightness, energy-saving mode and Wi-Fi off was possible for just short of 3.5 hours. The battery was drained very fast with about one hour in BatteryEater's Classic test (maximum brightness, wireless on, high-performance profile). Unlike in many other contending models, only a minor throttling occurs on battery power and it is possible to take advantage of the still high performance. 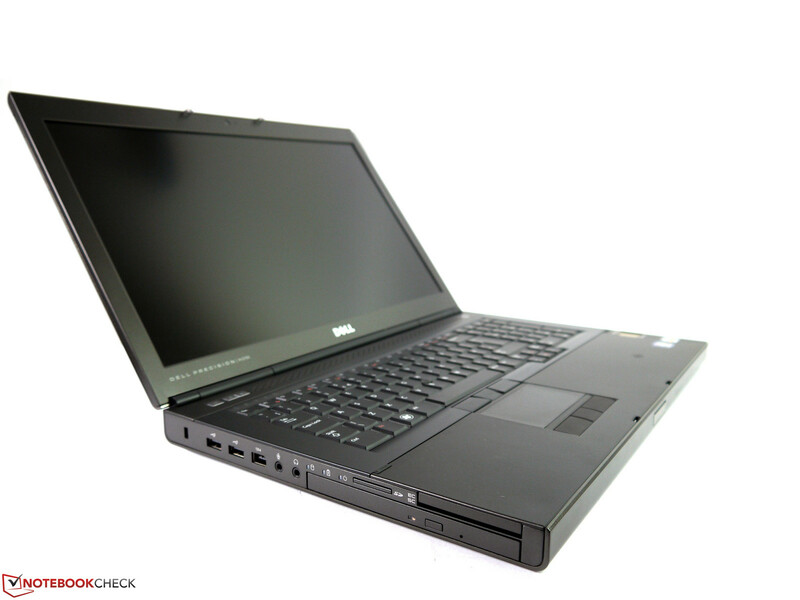 Dell's Precision M6700 especially convinces with a silent operating noise in low load alongside its high performance. Office tasks, internet research and basic image editing projects can be performed on a virtually inaudible work device. When it comes to the sheer computing and graphics performance, then the system has to give up in certain CAD applications, whereby apparently existing driver problems prevent a better performance. Dell's good work with the casing, screen, expandability and support options makes the very complete bundle extremely attractive for the professional field. 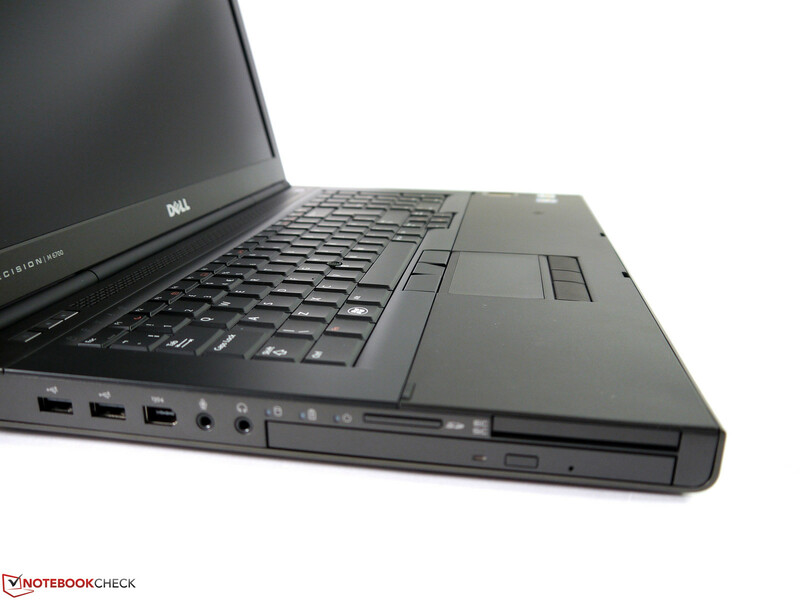 It is no question that the price for Dell's premium workstation is high. The included on-site service for the next business day, which the competition usually only offers for a surcharge, does not change anything about that. In return, Dell offers an extraordinarily vast scope of configuration options that embraces almost all conceivable needs. 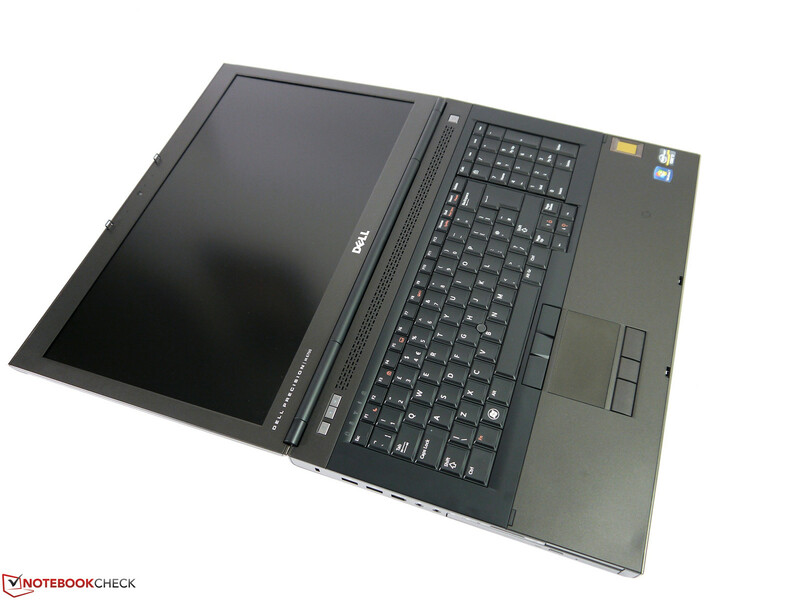 The Precision M6700 is a high-performance workstation. A fingerprint reader can be configured optionally. keeps the display securely closed. 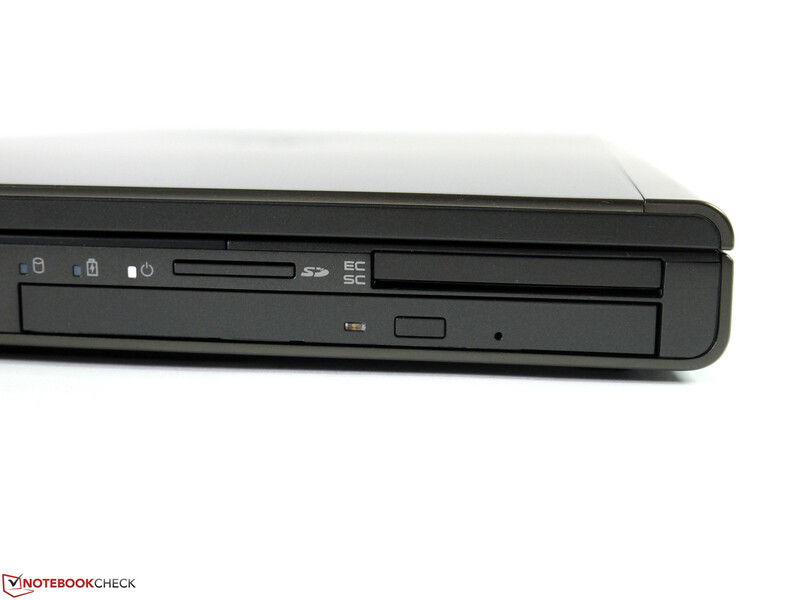 The Smart Card reader is installed directly above the optical drive. provides a capacity of 97 Wh. The SIM card slot is in the battery compartment. A docking port belongs to the business standards. The Precision does not have a secure stand without the battery. Virtually all components are found underneath the base plate. The fans are then accessible. 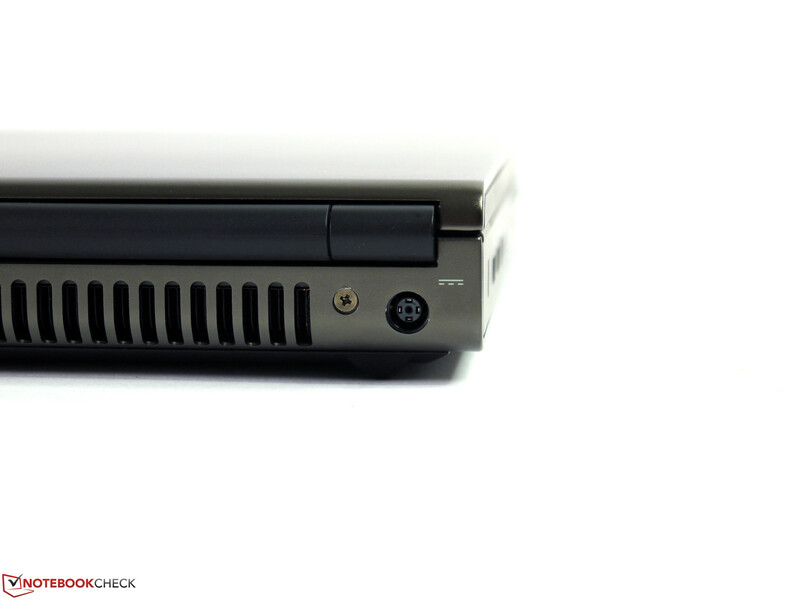 Both an mSATA slot as well as a UMTS slot is available. Two RAM banks are filled. 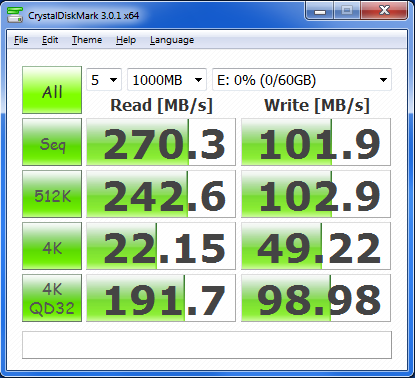 mSATA limited to SATA II speed. 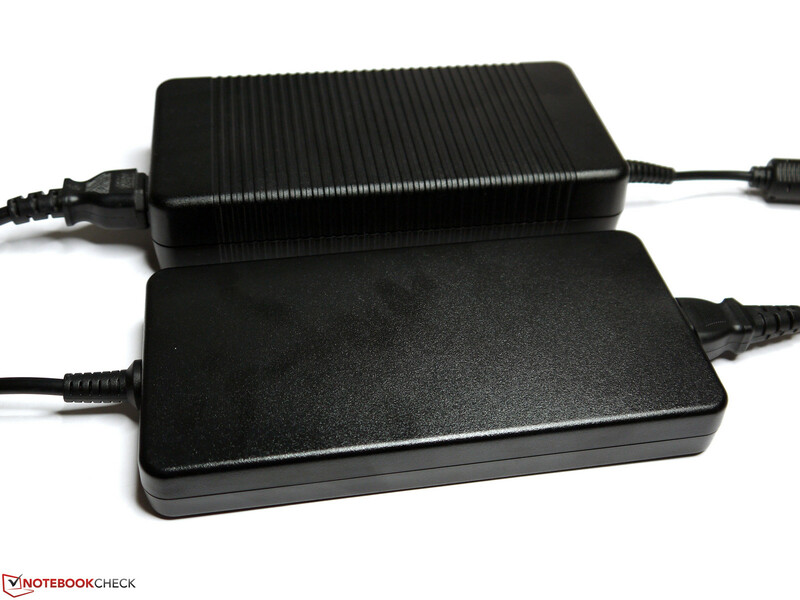 The PSU provides enough reserves with a nominal power of 240 watts. It reads and burns Blu-Ray discs. Missing interfaces can be retrofitted via ExpressCard. Some gaps are too tight for oversized sticks. as well as other very good equipment. The casing is very stable and high-end. The looks are restrained yet elegant. alongside many other good qualities. Just the illumination and viewing angle stability have room for improvement. A 6-pin version of FireWire 400 is installed. The Blu-Ray drive spins relatively quietly. The interfaces are all well-positioned. The Wi-Fi slider is easy to reach. CPU and GPU have a dedicated fan. 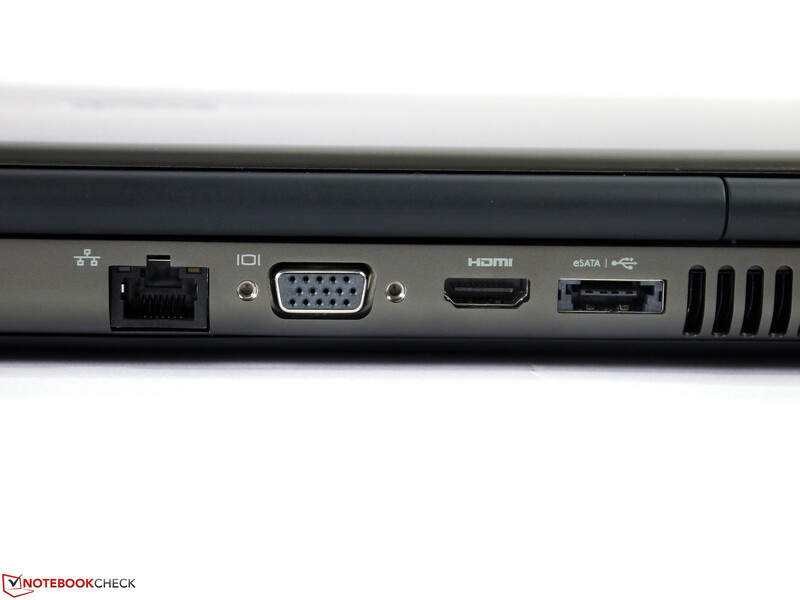 The rear interfaces are least impairing when peripherals are connected. 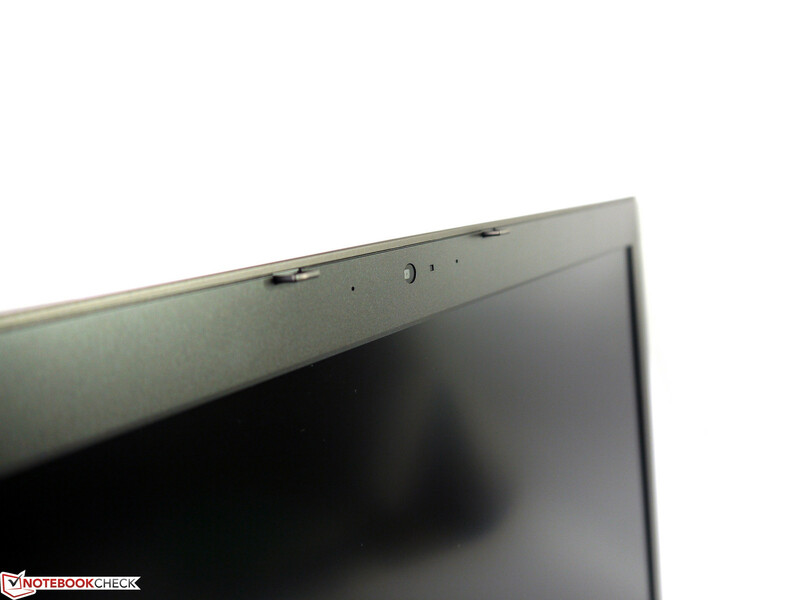 The display hinge has a sufficient grip on the display. 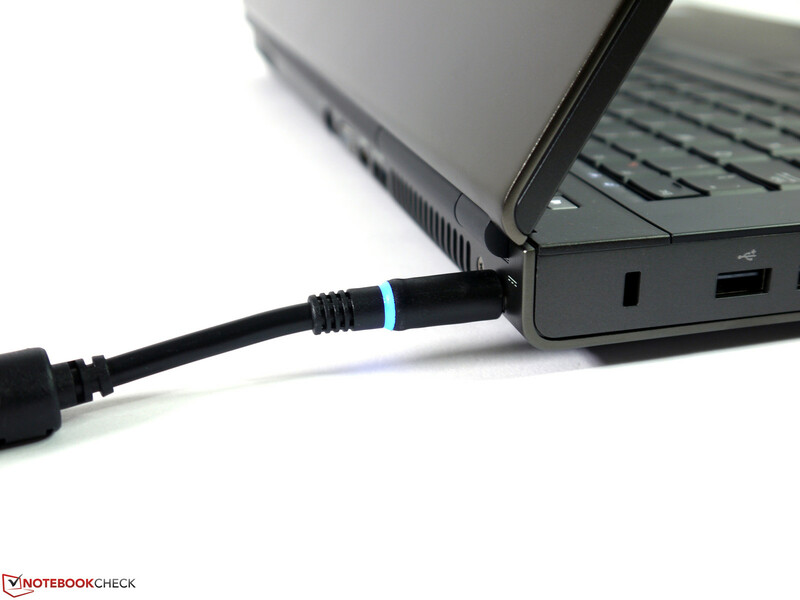 The unwieldy power cord could get annoying, but is always nicely illuminated in blue. 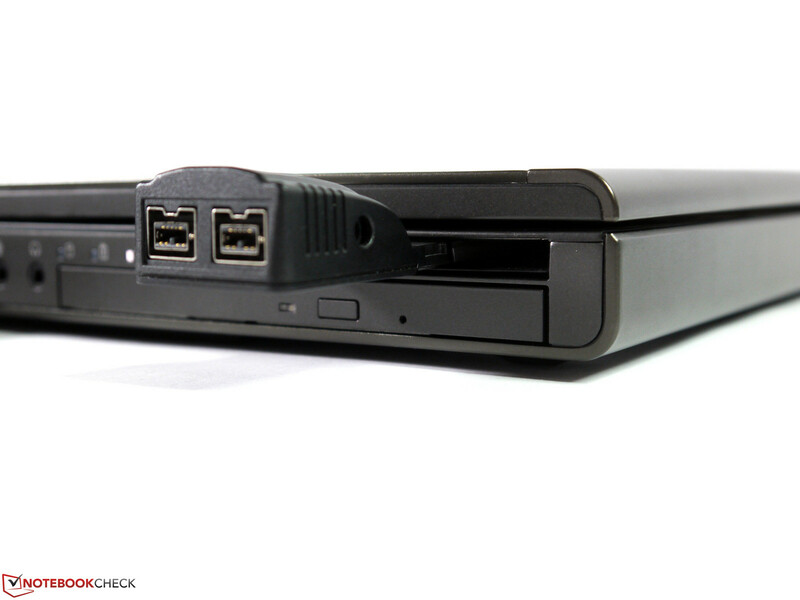 That a workstation can operate silently in low load and nevertheless provides a lot of power when it's needed. Fully-developed drivers for AMD's FirePro M6000 and a somewhat more reasonable price design. That the driver updates for AMD's FirePro eliminated a few bugs, but causes a much lower performance in the majority of CAD applications. 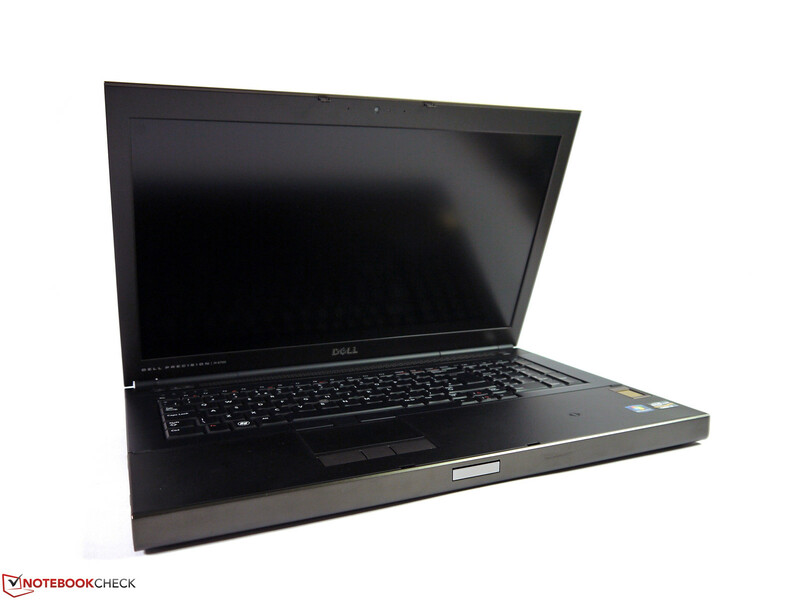 Dell's Precision M4700, HP's EliteBook 8570w, HP's EliteBook 8770w, Fujitsu's Celsius H720, Fujitsu's Celsius H920, Lenovo's ThinkPad W530, Clevo barebones sporting Quadro graphics cards.